A lawyer, social critic, and columnist at The American Prospect, Wendy Kaminer has said that she likes to think words have power but knows they don’t cast spells. She argues with her readers and expects them to argue back. Her taste for liberty, her legal training, wit, and innate contrarianism help her elude the usual political labels and inform her writings on censorship, feminism, pop psychology, religion, criminal justice, and a range of rights and liberties at issue in the culture wars. 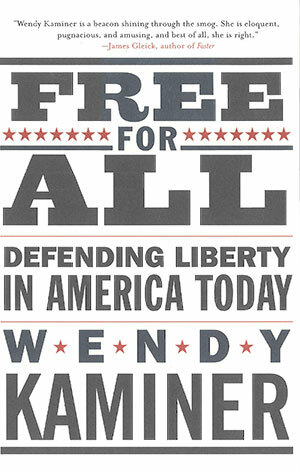 In this new collection, Kaminer has her sights set on the fate of civil liberties in America. Opening with a powerful overview of liberty’s tenuous hold on this “land of the free,” Kaminer offers incisive, original investigations of political freedom in our frightened, post-September 11 world and reviews perennial threats to sexual and religious liberty, free speech, privacy, and the right to be free from unwarranted, unprincipled prosecutions.